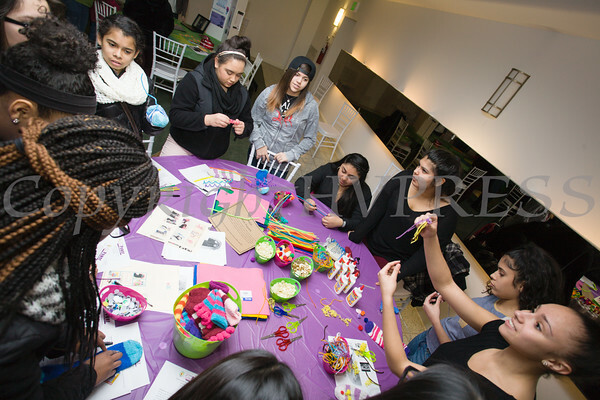 The Newburgh Girl Power Program held its Second Annual Day of Service for Girls in honor of Martin Luther King Jr. on Monday, January 18 at Safe Harbors of the Hudson in Newburgh, NY. Sock puppets are made for children in the hospital during the Newburgh Girl Power Program sponsored Second Annual Day of Service for Girls in honor of Martin Luther King Jr. on Monday, January 18 at Safe Harbors of the Hudson in Newburgh, NY. Hudson Valley Press/CHUCK STEWART, JR.